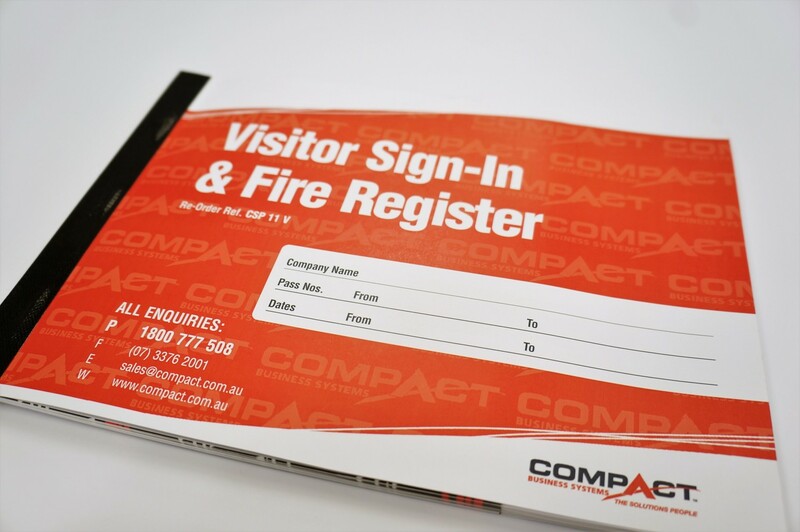 With the addition of your company logo these books will add a professional look to your Visitor Management System. 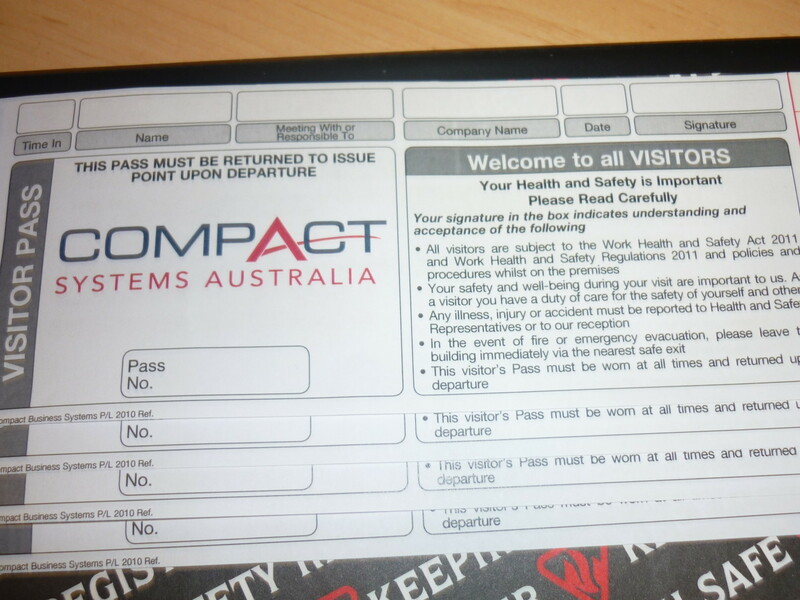 With the addtion of your company logo these books will add a professional look to your Visitor Management System. 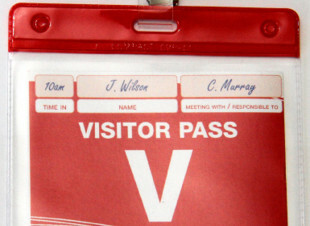 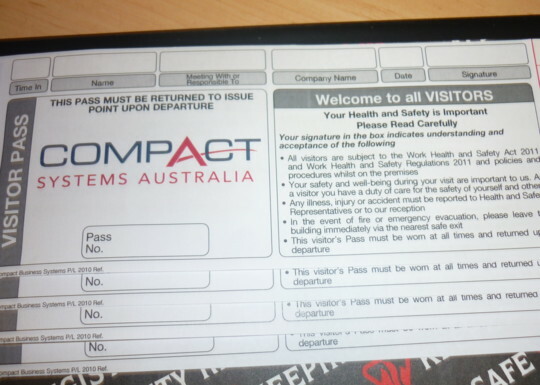 To fully appreciate what our system can achieve for your business the option to have the pass fully customised should be considered. 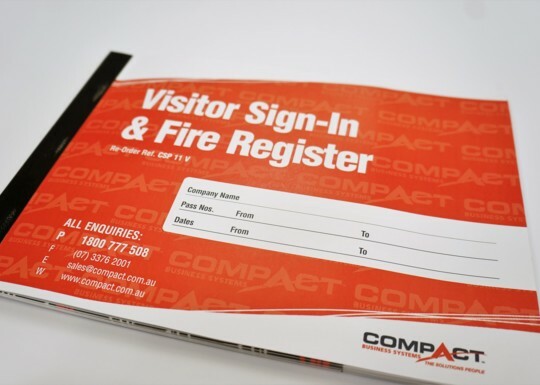 The addition of your company logo and colours on these books will add a professional look to your reception area as well as allowing you to display your own “conditions of entry” in relation to emergency procedures, safety information and any possible hazard areas that must be avoided. 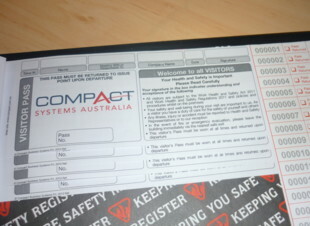 Corporate identity on the pass aids the promotion of the “safe work culture” within the business. 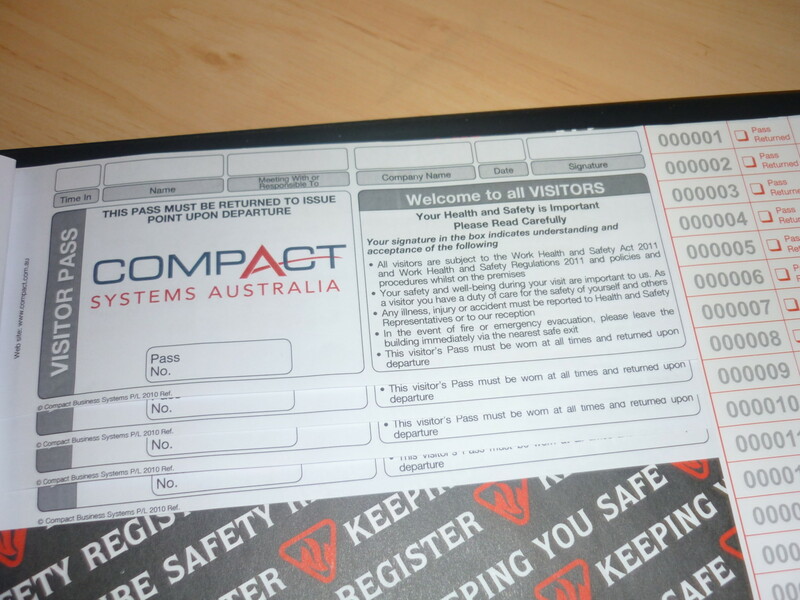 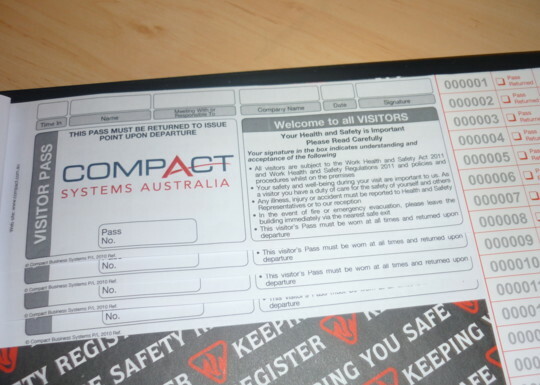 Provides flexibility for the user to display their specific Conditions of Entry which may even include a site map.